What is the Saint Cecilia Academy? 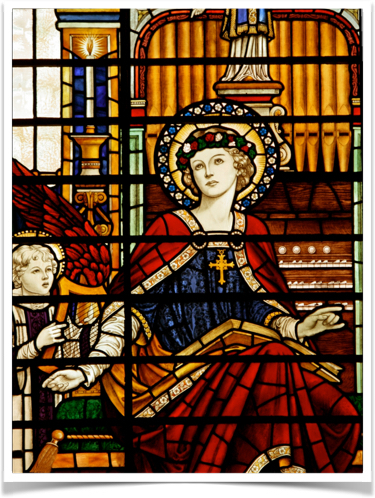 The Saint Cecilia Academy is a four-course, fully accredited program offered through St. Joseph’s Seminary in the field of liturgical music for the purpose of introducing musicians to the history, theology, and pastoral principles of liturgy and sacred music. Why would a musician want to attend the Saint Cecilia Academy? Many dedicated parish musicians (salaried and unsalaried) have received musical training, but have not had the opportunity to study the principles of liturgy and sacred music. The Saint Cecilia Academy provides this training in a cost-effective manner. Courses are fully accredited Masters Level Courses and may be used toward the pursuit of the Master of Arts Degree in Theology from St. Joseph’s Seminary. Where and when are the courses offered? Principles of Chant – Spring of 2019. Date and time TBA. Liturgical Year/Art and Environment of Worship – Spring of 2019. Date and time TBA. What happens after taking all four courses? At the conclusion of this course of study, a qualified musician (i.e., one who holds a degree in music or who can demonstrate musical proficiency) will receive accreditation as a pastoral musician in the Archdiocese of New York. Musicians sponsored by their parish may enroll in the Saint Cecilia Academy at no cost. Once enrolled, students receive a 50% discount off Seminary tuition ($750 per course, plus a one-time $50 registration fee). Parishes may wish to cover the cost of tuition for their musicians, especially if they are unsalaried. What are students saying about the Saint Cecilia Academy? Contact the Office of Liturgy for more information or learn how to register today!